In fact, VMware CEO, Pat Gelsinger, joined AWS CEO, Andy Jassy, onstage at AWS re:Invent for a joint announcement. The two companies have been working together for some time to bring VMware to the AWS cloud. 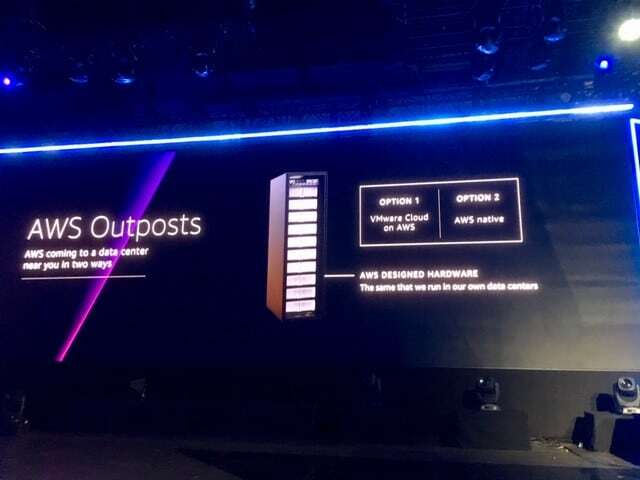 Part of this announcement flips that on its head, bringing the AWS cloud on prem to work with VMware. In both cases, AWS sells you their hardware, installs it if you wish, and will even maintain it for you. Now AWS is bringing its Cloud on prem, something that Microsoft, Canonical, Oracle and others have had for some time. It’s worth noting; however, that today’s announcement is a public preview. The actual release is expected in the second half of next year. *This article was originally posted by Ron Miller for TechCrunch on Nov. 28, 2018, and can be found here. Pulling the plug doesn't have to be your only security solution. Don’t become part of a rising statistic — ensure your company is armed against a security hack.